It is very important to be able to move pain-free. A large portion of the American population has trouble moving correctly. Not only in our daily lives. Also when we are exercising and trying to become healthy can fit. As a personal fitness trainer works privately with clients in the Boca Raton Area of Florida. When I started assess and work with a new client. It is very rare that http://Boca RatonI don’t find any movement problems or areas where they have pain while moving. It is very important for a personal fitness trainer to first assess the client and figure out what trouble they have moving. This is a very important factor. If it is not addressed in the early stages of the clients personal training routine. It again bring on many problems later on. Bad movement patterns or pain can cause tremendous imbalances the way someone moves. A client did has not addressed their movement patterns and in balances can lead to major issues later on down the road. As a NKT at home personal trainer and practitioner. I use the system tests that help identify the problem. NKT works wonders with helping people become pain-free in their exercise programs. Having a physical therapy program Incorporated with the strength training program is where the keys two adults getting fit and Staying pain-free. Being able to live life on lights terms. With little limitations. 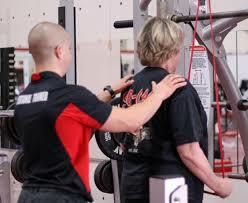 Hiring an expert in the personal training field is very important for the success of the client. At my in-home personal training business. I incorporate the various amounts of modalities and programs. Helping the client reach their fitness goals safely and effectively. While having a positive experience and then enjoying the process. Michael is a personal trainer what a studio in Pompano Beach. He also does private training in the Boca Raton in Delray Beach area Florida. He specializes in many different modalities of fitness training and movement. Strength training, mobility and flexibility, cardiovascular fitness and overall fitness programs.